Home InfoCrime Ten Misconceptions About FBI! The mention of the Federal Bureau of Investigation (FBI) conjures images of total professionalism and inspires awe in people. FBI has played an important role in American history for a long time. It has helped resolve some of the country’s worst criminal cases and national security issues. 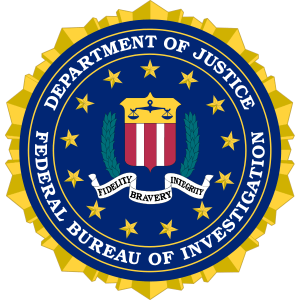 Over a period of time, many misconceptions about the functioning of FBI have been making the rounds. This is because of the complex nature of the work carried out by this agency. Here are ten of the well-known misconceptions that have been around for many years, along with the facts as clarified by the FBI, time and again. One of the famous misconceptions about FBI is that they do not do intelligence. But the fact is that FBI has from the beginning been a law enforcement, national security organization as well as an intelligence agency. They have used intelligence to deal and disable major threats from gangsters to spies to terrorists. FBI gathers and acts on intelligence on a very regular basis just like the intelligence agencies and the police. Some people think that the FBI keeps records of all the bad things done by all Americans. However, FBI only keeps files on serious federal violations and major threats to national security. Unless a person is a terrorist or a spy or is suspected to be one, no file is opened on a person. 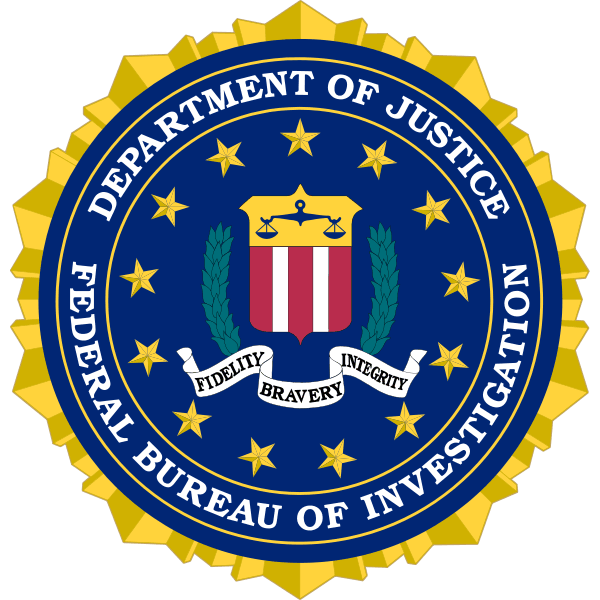 A person’s name may enter into FBI records if the person has provided information against someone or was a victim. All this information is held with the agency for a specified period of time and protected under laws to ensure no information is leaked out. This is said to be a wrong notion as the FBI is expected to carefully follow a well-defined set of guidelines, rules and regulations, and conducts all investigations guided by these principles. They maintain a delicate balance between using these tools to solve crimes, uphold civil liberties of Americans and prevent attacks. The rights and freedom of Americans is never compromised by spying in anyway. There is no truth that FBI was not hiring minorities during the tenure of Hoover. The misconception was that FBI was not willing to hire minority agents unless President Kennedy ordered them to do so. The fact is that there were many agents from the minorities working in the FBI right from 1920s. An example is James Amos, who was an African-American agent who investigated major cases in the state of New York. There was another African-American father/son team working in Los Angeles. They and dozens of others served with distinction all during Hoover administration. FBI is only supposed to investigate but cannot and does not prosecute cases. They have a clearly defined job of submitting the evidence and facts gathered by them to the local U.S. Attorney in the Department of Justice, who then decides whether to bring the case to trial or not. Sometimes, because the FBI is the one to collect these facts, they may have to be present in court and discuss their findings. That FBI agents were given a nickname “G-Men” by Machine Gun Kelly is a legend that is believed to be true by many people. The story goes that when a tired gangster, George Kelly (Machine Gun Kelly) came out of hiding with his arms held high, he shouted, “Don’t shoot, G-Men.” However, according to the FBI, this phrase was the invention of the attention seeking press to capture public eye. Although, he worked for a short while under Director Hoover, he was never an FBI agent; although, he did apply to be one. It all began when prohibition became the law in January 1920, 86 years ago. Many Americans willingly broke the law to enjoy a drink and many bootleggers like Al Capone worked towards meeting this unquenchable thirst of Americans. It was then that Elliot Ness was appointed as a prohibition agent with the Treasury Department and created a small group of agents. They later gained the name “untouchables” because they did not take bribes, and even threw away money offered by Capone’s men. In 1929, because of the continuing corruption, the Bureau of Prohibition was shifted to the Department of Justice. Hoover, who was the head of the Bureau of Investigation, was also made the head of the Bureau of Prohibition. Ness applied to become an agent but was turned down, due to differences of opinion regarding salary and because of his close links with the press. This is a complete myth because the FBI does not investigate the supernatural as it is done on the X-Files TV show. They do keep some files on some of the unusual happenings in this area, such as UFOs, cattle or other animal mutilation, Project Blue Book and the Roswell records. But these files are kept only because they have been reported by people to them. They also have some records of cases where there is violation of federal law under their jurisdiction that was investigated by them. This means FBI agents do not chase supernatural creatures as it is not a part of their job description and they also do not have any secret X-Files collection hidden. Nikola Tesla was a gifted physicist, engineer and inventor. He was well-known for inventing the basis for AC power. He died in 1943 and after that all his papers were taken by the Department of Justice Alien Property Custodian Office. This is because they thought these papers included the important plans for “particle beam,” which the press gave the name of “death ray.” Rumor has it that the FBI was also involved in searching for these papers and kept the papers with them. These wrong reports have in fact made their way into several biographies without anyone checking on the facts with the FBI. According to media, the FBI hogs all the limelight in big cases but does not cooperate with other agencies. According to FBI, this misconception has been created by the media. They say they have close relationships with their partners everywhere. There may be an occasional conflict of opinions over an issue, which is natural, but there is no question of not cooperating with agencies. They maintain very good relations with everyone. There are several other misconceptions which surround the FBI. The rules and regulations that govern FBI have also been changing over the years and an agency of its stature is bound to be misinterpreted by people who do not know how exactly FBI functions. These issues have been called by the FBI as misconceptions and clarified in order to help people understand their functioning better. The Advent Of Private Banking! Take Control Over Your Obese Kids – Their Thyroid May Be At Risk! My illusions of the FBI have now been well and truly shattered. I thought that perhaps that the X-Files would have been mandatory training videos and yet there is no evidence to suggest they even have any on campus! At least they have the particle beam and presumably the accelerator covered. Sleep easy. believe this and you’ll believe the world is flat. the FBI is a law unto itself, and makes it’s “own” rules ! i agree, the fbi has no one to answer to. my dad is in prison because one agent wrote a confession and said my dad agreed to it. there was no recording or witnesses of the interview. people need to wake up, our justice system is a joke. the fbi, DA and judges are all on the same pay role and cater to each others interest. When did the phraces “G-man” started or in what year?….. and I want to know now!!! Nirvash out! For the FBI, every single citizen (with the exception of a few ones) are suspect to be terrorist, hence FBI is able to keep the record of almost any citizen. A common legal misconception, not directly related to the FBI is that when a defendant has been transported to court by Corrections or Detention staff and is subsequently acquitted or has his charges dismissed, that he is free to go from the courthouse. He usually walks down marble stairs to a waiting car and is mobbed by the Press. Actually, the defendant remains in custody and is returned to the facility where he’s being held either to serve time on lesser offenses or to return institution-issued property and be cleared for outstanding warrants from other jurisdictions.